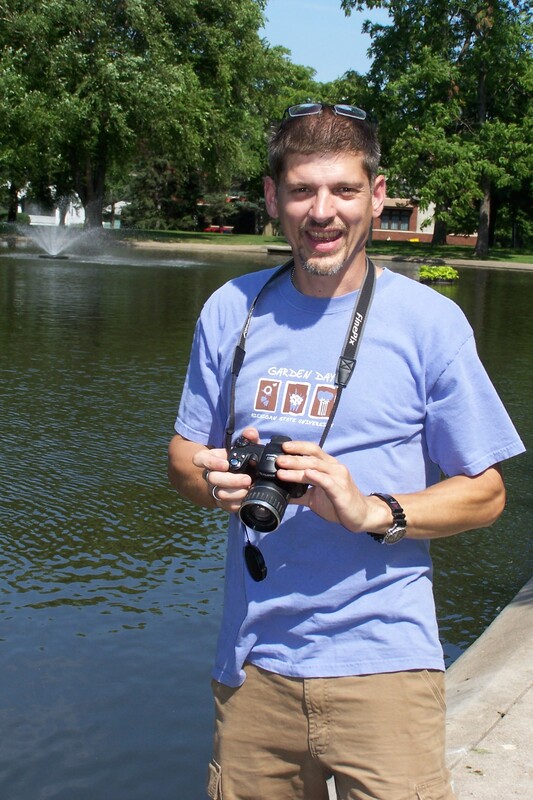 My name is Tim Latimer, I live in Lansing MI. I am a Certified Florist and a Floral Design Instructor for the Michigan Floral Association. I am chair person of the Certified Florist Committee at the Michigan Floral Association. I have a degree in Horticulture and I am an avid gardener. I collect vintage and antique quilt tops and finish them. My goal is to preserve the fine art of hand quilting. I have over 200 quilt tops and decided (with encouragement from Karen Alexander) to share them. This Blog will be about sharing the quilts, and my garden, and perhaps some bragging about Teddy; the best dog ever. My Tree of life quilt won the best hand workmanship award in Grand Rapids 2013. I mainly quilt in a hoop (see video…link on the right sidebar.) but am experimenting with quilting in a frame. Every quilt is different so I will used different batting, different thread and different needles for each. I try to post several times per week and show all stages of every quilt. I hope you enjoy following my progress. Thanks for checking out my blog. Your work is awesome!!! We need to keep hand quilting alive and kicking. I’ll be most interested to read about your antique quilt tops. I was just commissioned to quilt one for a photo shoot next year. I heard that they can be difficult to square up. I’m not sure if this comment will be attached to a entry or not? I was looking for your email and was unable to find it. do you buy old quilt tops that need to be quilted? Our non-profit group received several quilt tops from one of our dear members who is now deceased. We were going to have them quilted and sell them for a fund raiser, but we were told not to touch them! They are worth more as they are than they would be if someone finished them not knowing what they had and what to do with them. We would appreciate any information you can give us. Wow, Tim – who knew?? What an awesome quilt/quilting site and resource. Tim – thanks for the memories on the Sears Catalog. I remember those same books. How fun. 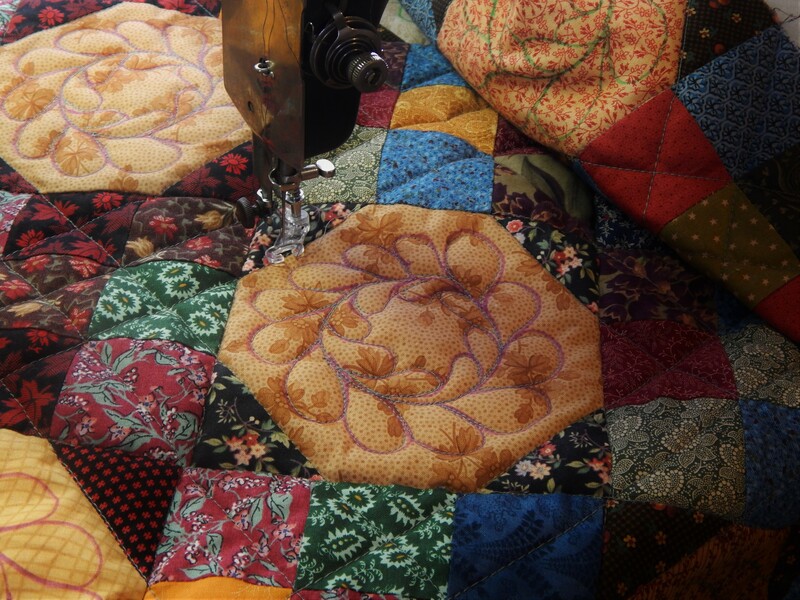 Tim,, so nice to see people restoring antique quilts. I love to visit antique shows and purchase orphan blocks. I also was intrigued by your name,,, my maiden name is Latimer, and I also live in Michigan. Hmmm,, wonder if we are related. Arent orphan blocks fun to shop for! So another Latimer from MI…we sure could be related….there are lots of us! I have had lots of fun making floral decorations this holiday season thanks to your fun floral design class through the MSU Evening College. The sewers at University Lutheran Church were hoping we’d see you today at our Prayers & Squares workday. We are looking forward to the Quilt of Valor you have been working on. Come see us!!! I will do my best to be there next time….Its tough for me to get away during the day on Tuesdays. So gld that you have been putting the floral design information to use! You have a very nice site Tim. I have enjoyed visiting it. Your work is wonderful. I am a long time fan of hand quilting, have done a few projects throughout the years. I am working on repairs of an old quilt top that was given to me right now. That is how I found your site! I am originally from Michigan, but do to live there now. Grew up in the Detroit area. Highland Park, and Royal Oak. So great to hear from a fellow quilter from MI….I have family in the Royal Oak area. Godd luch on the restoration project and thanks for visiting my site! Hi Tim! It’s Peggy from a long time ago:) What BEAUTIFUL work you do!! I’d love to hear from you please email some time. wow! thanks….great to hear from you! Peggy sent me a link to your blog–I love it. It is very inspiring. 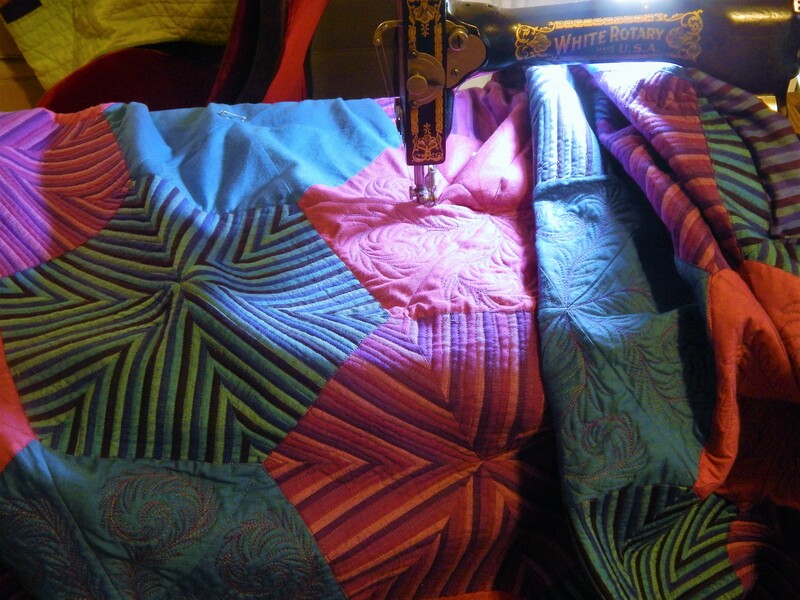 I have made several quilts–machine pieced and hand-quilted. I have been sticking with simple blocks. I like seeing photos of the floral arrangements too. I still remember the beautiful flowers you did for my wedding. 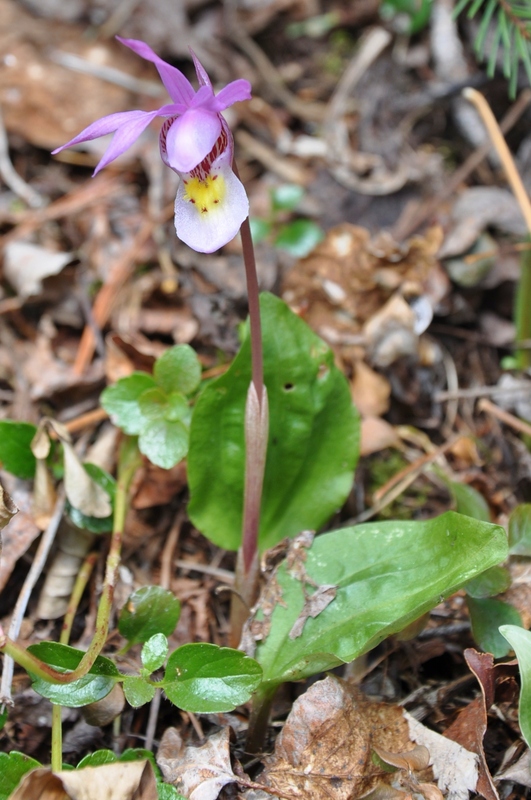 I look forward to seeing more photos of your garden, as it continues to bloom. wow….another voice from the past! great to hear from you!! and so fun to hear that you are also into quilting!! I love that you and Peg are conversing at 2am–just like old times! Wow another great suprise!…glad to hear from you! You sound awesome! Ok: so here’s my deal! I made one quilt top, all by hand, tiny pieces. Searched far and wide for a quilter; finally found her in Missouri, where I was living at the time. My quilt won first prize! Well, I hand my second and LAST quilt top done; again, all by hand. Pieces all cut out by hand, individually. Flying Geese. With Smithsonian reproduction fabrics of the l800’s. It is spectacular. I am simply unable to find a hand quilter; now I live in Minnesota. Can you help me find a quilter for hire? Tim, thanks for getting back so quickly. It doesn’t have to be someone in Minnesota; could be anywhere in the U.S. I will pay top dollar to have it quilted! REally appreciate your response. I just called the service and they are going to quilt it! OMG: THANK YOU THANK YOU THANK YOU THANK YOU!!!!! Wow, the internet makes ALMOST anything possible! Great!! !…I have heard good things about the work they do….I know it will be great!! Bell weather does fantastic work. They have access to the best quilters and do a fabulous job on design. You have probably answered these many times before. What 4 or 5 quilting threads do you use? Do you use a hoop? How many hours per day do you spend hand quilting? 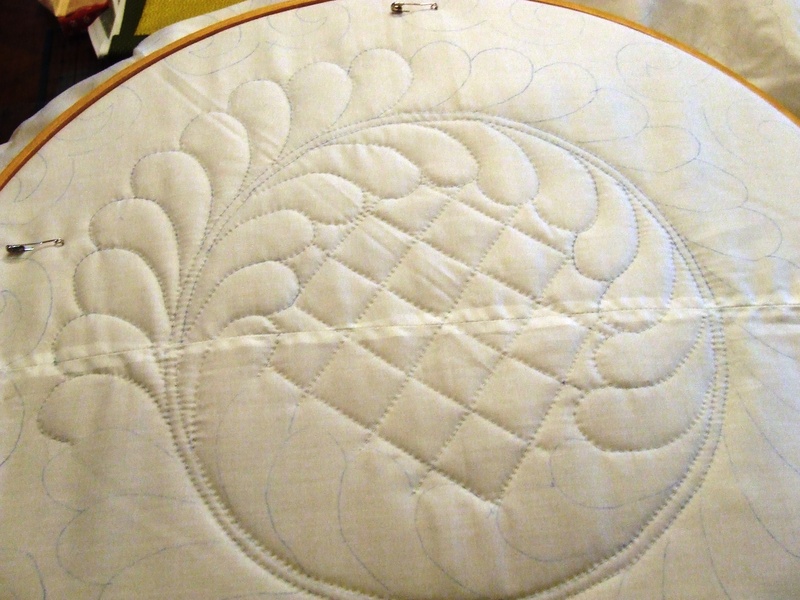 I quilt in a hoop…the size of the hoop depends on the quilt….14″ up to 24″ and I also Have a hoop on a floor stand that I use a lot now. Tim, I’ve nominated you for the Reader Appreciation Award! http://fibercrush.wordpress.com/2012/10/01/reader-appreciation-award/ I think your approach to vintage quilt tops is unique and it’s giving me confidence to think about how to restore a 45 year old quilt that my husband received from his aunt when he was young. Unfortunately he washed it multiple times in the washing machine and it’s more than a little worse for wear! It’s a bit of a mess as it is an applique quilt and the batting is quite bunched up. I have to decide how far I’ll go in bringing it back. I’ll let you know when I write about it on my blog. I have not been to shipshewana before, but I might neet to add it to my list of places to visit….enjoy your trip! give Sadie Anne a pat for me! I sent you a lengthy email last week but never heard from you. In July, I wrote to you, practically begging you to recommend a quilter. I had my flying geese quilt top in the closet for 10 years! You referred me to Bellweather quilts….and I jumped on it. I sent my quilt in September and received it in late March! It is absolutely gorgeous. I can’t thank you enough for the referral. I have now returned to quilting and I’m so happy and grateful. If I hear from you, I will send you a picture of my quilt! Just want to know you received my 2nd email! SO Sorry Annette….My eMail has been a mess now for several weeks….sometimes I think they just evaporate….I am going to try to resolve it but I am not a computer expert, anyway I am so glad that the quilting worked out!! that is great news!! P.S. Will do so on sunday, bec I don’t know how to do it from the computer and will get help!!! understand that you may not wish to do so and I’m fine with that. Bottom line: Thanks again for the referral. Tried to email you but it would not go through. Just love your quilts and sweet and adorable dog. So glad you make quilts for him to pose on! Love the latest quilt going to AQS. The fiber art tie die is so cool!! Is the fiber artist Paula Lavendar? Love how you put a grid on it-perfect combination! So glad that someone is doing hand quilting-did it for 40 years until my hand gave out. Now I can enjoy yours!!!!!!! I’ve just enjoyed my magazine ‘American Quilter’ and the article on your tree wholecloth, beautiful!! You used wool batt, and I am thinking about using wool (for the first time) in my quilt ( I hand quilt too), instead of the ‘Low Loft’ I usually use, and wonder if it would be too big for that since it’s not a wall hanging. What would be your opinion? Thanks Tim. I will give it a try. wow thanks!….that’s quite a list! I’ve just turned to Page 63 of American Quilter to discover a most remarkable hand-quilted piece of art. Bravo; you deserved the award! thanks!! it was an honor to have that quilt in the magazine! Hi Tim, I am just down the road from you (sort of) in Richland (halfway between Kalamazoo and Battle Creek). My quilt studio is the upstairs of a 120+ year old, Greek Revival farmhouse. On the first floor is my son’s antique store. I have a pile of antique Double T blocks that I would be happy to send to you. Some of them are pretty rough but some are in fair shape. I hate to see them go to waste but they haven’t sold in the shop and I just don’t have time (or the skill) to repair them. Would you like them?? Do you have the pattern for your coffee cup block? I am looking for a speaker for our quilt guild in Toledo ohio for our 2015-16 year Do you have a calendar or how should I contact you? Ohhh my goodness Tim!!! I have learned so much from your site, thank you! I now am going to try hand sewing one of my quilt tops. If I do it well, I have you to thank (again) for inspiring me. Your quilts are absutely gorgeous. just found your site after reading a back issue of Quilter’s Newsletter- who knew so many repros were coming out of China? Great info on authenticating vintage quilts. 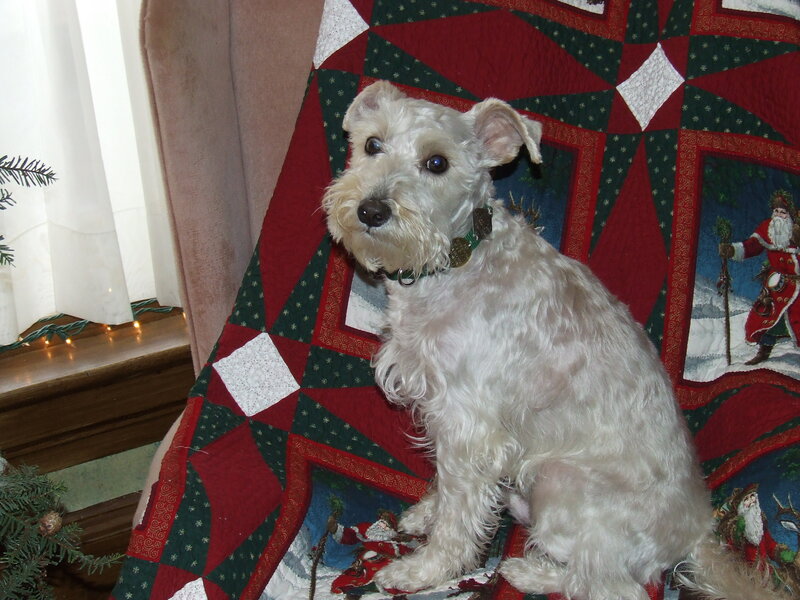 love your little furbaby- we have 2 of them and they like to lay on my quilts while I stitch them…. Love your quilts. Where did you get the pattern for the Broken Star Quilt? Would love to do that one but have not been able to locate the pattern. Thank you – just what I need. I will look on their site also. Hello! I’ve got a beautiful quilt that my mother in law gave to me when my husband and I married 45 years ago. It is in need of repair! Do you ever repair quilts for others, or know of someone in the Lansing area who does? Appreciate any guidance. Thanks. Having only just found you I’m loving your blog. I am in Australia. I also collect vintage & antique quilt tops and blocks and fabrics and some quilts that have been loved to death with the aim of finishing them. I also had read that you should not do this, they are ‘textiles’. Well textiles can be turned into quilts in my book. I dont see the point of having a textile tucked away in a cedar chest when it could be what it was intended to be. Also never learnt the art of machine quilting but thoroughly enjoy zoning out while hand quilting. My feeling also is that in a way you are honouring the person who started the quilt and didnt live long enough to finish it. This is going to happen to many of us quilters, we will die with a collection of unfinished quilts and I would hope that someone would think enough of my work to complete them for me and enjoy them. Oh I forgot, I’m also a horticulturalist/landscape designer. Sadly I broke my back a couple of years ago and struggle to do anything much in the garden these days, but I did find the study of landscape design had a lot in common with quilt design. I was happiest when I was gardening. Quilting is a great substitute. Have you made quilts with T-shirts? I’m looking for a talented quilter to make me a quilt with some T-shirts I have. 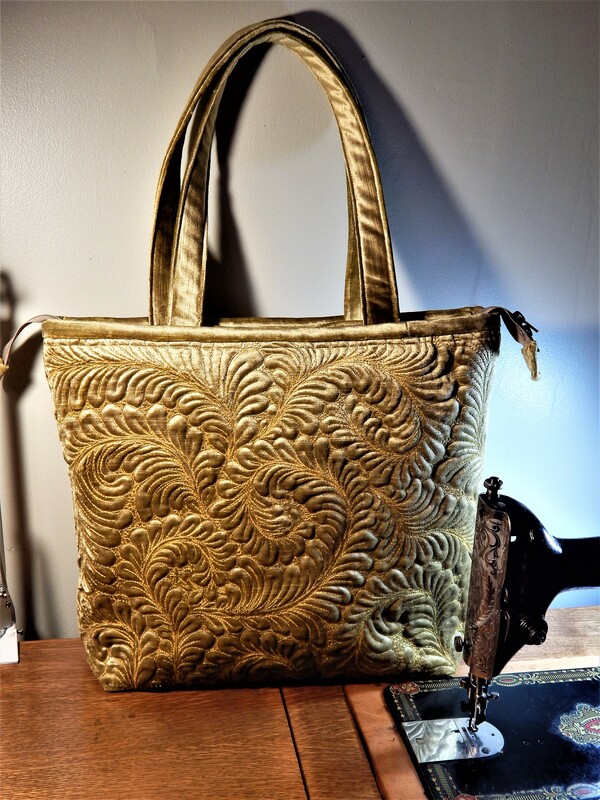 I have done one, and that was enough for me …..so much different to make because of the different fabric that stretches. Do you still have the fabric giveaway? I haven’t done one in quite a while.. I have matching hand turned edge applique quilt tops that one of grandmother’s sisters made in the 30’s or 40’s when she was dieing of cancer. I want to quilt them myself so they are true family heirlooms. My hand quilting is very poor. In addition to practice, what can I do? Do you know of a video or book that might help? I can’t get out to quilt guilds to find a local teacher. Just in case, do you do hand quilting for others? I know prices would range. I saw your Reindeer Snowflake in Quilter’s Newsletter. It was a blessing to see something so beautiful by a man so talented on this night with all the news of Paris. It made me happy. I teach quilting and work in a quilt store in the winter and operate a greenhouse retail in the summer. I have dogs and lots of unfinished tops. I love older machines, but have limited myself to 3 so far… I think we are related… maybe. Love your site. Keep sharing. Even the “ugly” quilt was great. Love the graphic nature. Can’t help the artist showing up in whatever you do.